Whether you’re planning a quick jaunt to your nearest coast or a once-in-a-lifetime holiday to the other side of the world, packing for a dive trip can be tricky. Thanks to militant luggage restrictions and cavalier baggage handlers, this is particularly true if you’re traveling by plane. In this article, we take a look at a few top tips designed to make packing for your next dive trip a little bit easier. When it comes to packing for an overseas dive holiday, the cliché “forewarned is forearmed” has never been truer. The first step is to research airline options carefully before booking your tickets. Budget airlines may offer the most affordable ticket prices – but generally, they also have the most draconian luggage rules. This means that while you may save money initially, you could well end up spending a fortune on excess baggage fees at the airport. Nowadays, most mid-range airlines have pretty standardized weight limits for hold and hand luggage. These are usually determined by your route, with allowances increasing from domestic flights to international flights, and again for long-haul flights. Where airlines differ is in the fees that they charge if you go over the limit, and in the allowances that they make for sports equipment. If you play your cards right, you may be able to check an extra sports bag free of charge – but usually only if you make arrangements in advance. If you plan on making multiple trips to a certain country or region, consider joining the loyalty program of the corresponding airline. Frequent flyer status often comes with more generous luggage allowances or special discounts for overweight bags. There’s more to packing research than scoping out potential airlines, however. You also need a good understanding of what to expect from your destination when you get there. Check out seasonal water temperatures and diving conditions, and enquire as to what equipment is available for rent and at what price. Knowing the answers to these questions means that you can make an informed decision when deciding what to pack – and what to leave at home. If you’re a pro underwater photographer or a cold water junkie heading to the fjords of Norway, you’re probably going to have to embrace those overweight fees. For everyone else, there are a few easy ways to keep weight to a minimum. If you’re in the market for dive gear, there are plenty of lightweight BC and regulator brands available. One of the best options of 2016 is the Scubapro Hydros Pro BC, which can be stripped down to travel-friendly proportions. If you have your own gear already, buying a second, lightweight BC or reg set may be a worthwhile option for those that travel a lot. Otherwise, cutting down on the rest of your packing is the best way to keep your overall weight to a minimum. Load holiday books onto a Kindle rather than packing the paperback versions, or plan to do laundry instead of packing an outfit for each day you’re away. Toiletries are heavy and easily bought upon arrival. Of course, if you’re really worried about overweight fees, you can always leave your heavy equipment at home and rent your dive gear instead. The pros are obvious – lighter bags, reduced baggage costs, more maneuverability upon arriving at your destination, and no wet gear to pack for the flight home. 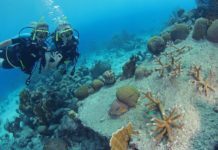 If you’re headed on a liveaboard trip with up to four dives a day, renting also reduces wear and tear on your personal equipment. There are several cons to renting as well, though. Not least is the fact that if you’re used to your own gear, you might find that using unfamiliar equipment makes a difference to your comfort and confidence underwater. Renting costs money, and if you’re planning on doing a lot of diving, it can easily exceed what you would have paid on overweight baggage fees. You’ll also need to make sure in advance that your operator has all of the equipment you need – and that they have it in your size. There are things that you can leave behind, and things that you really can’t. 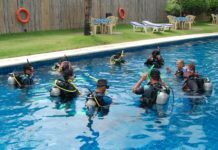 The first step is to forget about your weights and your cylinder, as any dive center worth their salt will include rental of these heavier items in their rates. Similarly, towels take up space, and will often be provided by your liveaboard or hotel. From a non-diving perspective, essentials include money, your passport and any special medication – including personal prescriptions and if necessary, malaria pills. 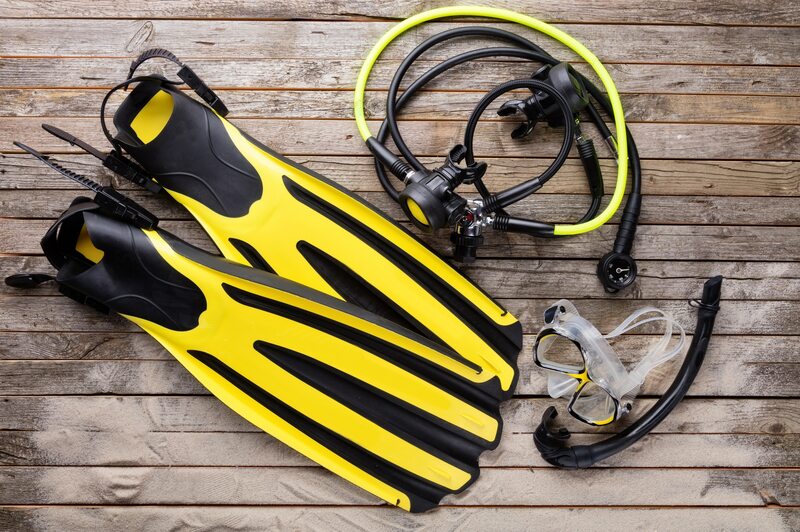 Must-pack dive gear includes lightweight personalized items – like your dive computer and your mask. The latter is especially important if you wear prescription lenses. If you’re headed to a destination with strong currents, make sure to pack an SMB, as these are rarely available for rent and could save your life. In terms of saving your dive, spare o-rings, silicon grease, mask straps and fin straps are all a good idea. If you’re an underwater photographer, you need to double check that batteries, chargers and foreign adaptors have all made it into your case alongside your housing and strobes. Packing essentials are slightly different for everyone, but if you’re not sure, make a list. Divide your belongings into “must take” and “would like to take”, then prioritize your packing accordingly. Don’t forget your log book and proof of certification, as most operators will want to check them. Successful packing is as much about how to pack as it is about what to pack. Place your dive equipment in the center of your bag, with your BC on the bottom and your more fragile items on top. Roll camera ports and regulators in your wetsuit, then add your fins as a protective top layer before packing the rest of your clothes around the edges. In this way, your dive gear should have some protection from over-enthusiastic baggage handlers. If possible, pack your most valuable and/ or important items in your hand luggage. This is a good preventative measure against airport theft, and if your hold luggage goes missing, you’ll still have the essentials with you. If you can’t fit all of your valuables in your hand luggage, make sure to invest in a good padlock (or cable ties! ), and to wrap your bag at the airport. The latter step discourages thieves from cutting through the fabric of the bag, an increasingly common practice in third world countries. Often, airlines will allow you to take two bags. You’ll need to distribute weight evenly between them because weight allowances are never cumulative. Increasingly, airlines are weighing heavy-looking hand luggage as well. Pack your carry-on luggage into a rucksack or shoulder bag instead of a case with wheels, as this helps to give the impression that it’s within the limits – even if it’s really weighed down with two tons of camera equipment. Most importantly, maintain your cool at check-in. You’ll find that patience and a smile will often get your slightly overweight bag onto the plane without incurring extra charges; while anger and frustration have the opposite effect.